GENEVA — Sotheby's says its spring auction has sold a world record $141.5 million in jewelry. 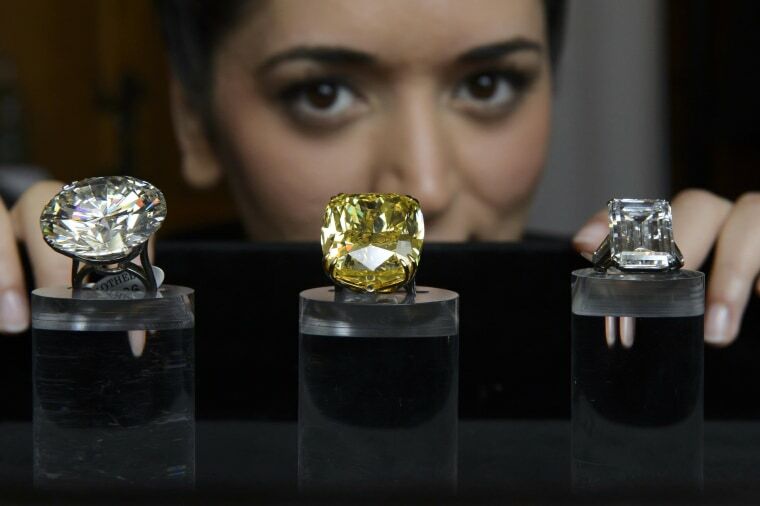 The auction house says seven records were set at the Geneva auction, including the highest amount ever paid for a yellow diamond — $16.3 million for the 100.09-carat "Graff Vivid Yellow" diamond ring. It said Wednesday that the auction, featuring two diamonds over 100 carats, drew buyers from more than 30 countries. The second huge diamond, at 103.46 carats, is part of a Graff diamond ring that sold for $4.9 million. David Bennett, chairman of Sotheby's Switzerland, said that "100 carats is a magical number when it comes to diamonds" and having two such rare gems at auction led to the record haul and intense bidding from around the globe Tuesday night.